Advertising on Facebook can be an effective way to reach new audiences and expand your business, but only if you really stay focused on the people you want to reach. 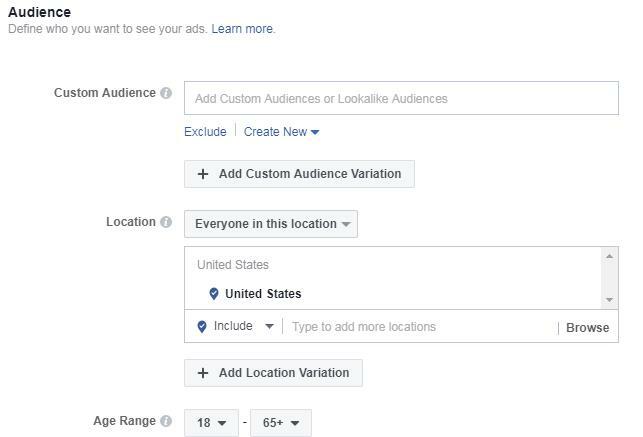 Facebook’s Custom Audiences is a powerful tool in the Ads Manager that lets you target very specific groups of people with your Facebook ads. With Custom Audiences, you can target leads based on their interests or even import your own customized contact lists. For example, you could import a list of all your leads for workers’ compensation cases who haven’t followed up, and create ads that target them. The options for customizing your target audience help you not only bring in more of the kinds of clients you want to work with, but also filter out leads that aren’t the right fit. Ready to get started with Custom Audiences? If you don’t have an Ads Manager account set up through Facebook, you’ll need to that first. You can get started here. Our social media marketing services team strongly recommends that you first set up Facebook Business Manager and then set up Ads Manager from there. Business Manager is like the “office setting” for Facebook. It makes the whole process smoother, especially for businesses that have multiple people involved in their marketing. Keep in mind that some Ads Manager features may not be available to everyone. You may have different options available that are dependent on the number of Likes you’ve received, the data available to aggregate, or other factors. And, because Facebook is always rolling out changes and algorithm improvement, you may not always be seeing the same thing someone else sees. If you have trouble setting up Business Manager or questions about creating Custom Audiences, don’t hesitate to reach out to us for help. While all the elements of your ads matter, your audience is going to be the most crucial piece of the puzzle. You should build your audience around your perfect clients—the people that you most enjoy working with or who have been the best cases for your firm. You can also choose NOT to target people who specifically race motorcycles. If you wanted to narrow it down even further, you could even target motorcycle enthusiasts who have just purchased a new motorcycle. There are tons of possibilities here, so make sure you begin with a clear idea of what you want to accomplish and who is your perfect client for this ad set. This means that you could create an audience for motorcycle enthusiasts, boat owners, people who work in construction, and so on. The benefit to creating multiple ad sets is that your ad language can specifically target people who are most likely to need your services, rather than trying to communicate with all your prospective clients in a single ad. You can also create Custom Audiences in Facebook by uploading your own contact list. 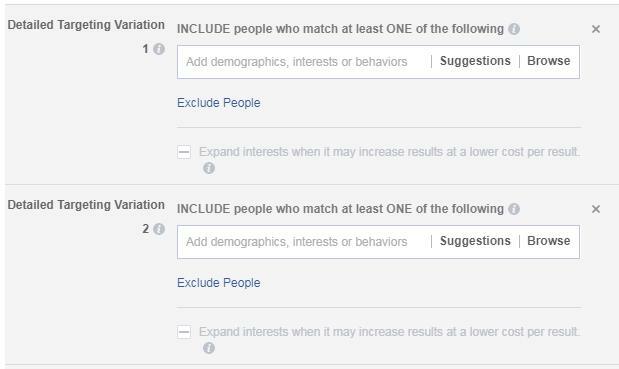 You can create a Custom Audience that identifies Facebook users on the list by their email addresses, or you can create a “Lookalike Audience” that will target users with similar demographics to the people on your list. For example, if your list includes [email protected], a 25-year-old male who likes movies, Facebook will target other 25-year-old males who also like movies. Once you have your audiences set up, you can select them when you create ads. Facebook targeting is a powerful way to put your message in front of exactly the people you want to reach, but you can take it too far. Be mindful not to target super-personal data or things that could be touchy or create problems. An attorney targeting a list of recent DUI charges from the local courthouse. A doctor targeting patients based on a sensitive diagnosis. In both examples, your targeted ads could accidentally reveal sensitive or protected information to others, and that’s a problem. Google took action after a similar issue with targeted ads in the past, and it’s very likely that Facebook would follow in Google’s footsteps on the issue. As you develop your ads, don’t forget that Facebook is also very particular about the kinds of images it allows you to use. It will not accept ads that feature violent, gory, shocking, or alarming images. If you feature something too alarming, it will reject your ad. You want to use images that are compelling, but you don’t want to make people uncomfortable or repelled. Do you need help expanding into social media advertising or developing ads that bring in the leads you want? Talk to our marketing experts today, or get more tips by watching our free webinar, How to Create Social Content.